Paper Mario is back, and finds himself in another sticky situation! Take Mario on an exciting paper adventure and help him repair the mess Bowser has created using the powers of brand new stickers only on the Nintendo 3DS, 3DS XL and Nintendo 2DS! Spend Coins on the Battle Spinner and use multiple stickers at once! Collect Stickers as you travel the world! The flashier the sticker, the more powerful it is! Get stronger by beating bosses and completing side missions! A cast of colourful characters will keep you laughing along the way as the familiar world of Paper Mario is brought to life in Paper Mario: Sticker Star for Nintendo 3DS & Nintendo 2DS! The visually stunning 3D effects make it seem as though you're looking into and exploring a world made up of shoebox dioramas! It's the day of the annual STICKER FEST in the town of Decalburg and the bothersome Bowser has been up to no good! By causing the Sticker Comet to explode, he scatters six Royal Sticker's across the land and it's up to Mario and his ally Kersti - a sticker fairy - to set off on an action-packed adventure to try and recover them. Unfortunately these missing stickers are now stuck onto Bowser and his minions - which means there will be plenty of puzzles to solve and battles to win in order to retrieve them. Mario and Kersti must travel far and wide to prairies, deserts, forests and snowy mountains across the world and hunt them down! 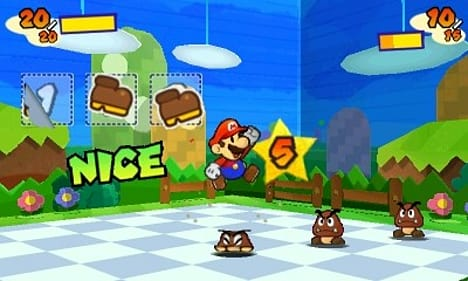 Stickers are very important to this fun adventure as Mario will use them to attack his enemies in traditional Paper Mario action-battles. 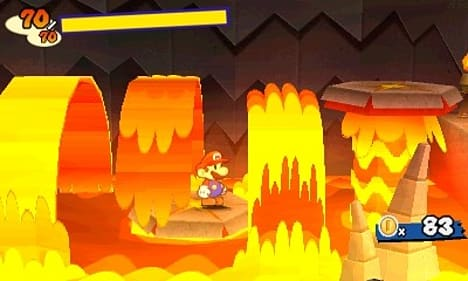 Not only will they help you flatten your enemies, they also help solve puzzles throughout the crazy world of Paper Mario when placed in the correct spots, unfolding the environment to reveal new areas and new ways to progress through the game. They can be found and collected from all corners of the world and the flashier the sticker, the more powerful it is. Collect stickers by peeling them off their environment, buying them in shops, or even making your own, and store them in your notebook for later use. 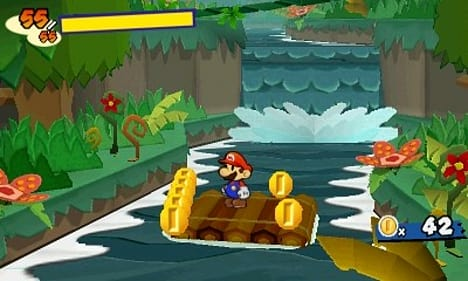 It's also important for Mario to find power-ups to improve his abilities and complete side missions for other characters, as this will increase his strength and ready him for battle. For the first time in the series there are no experience points to collect! 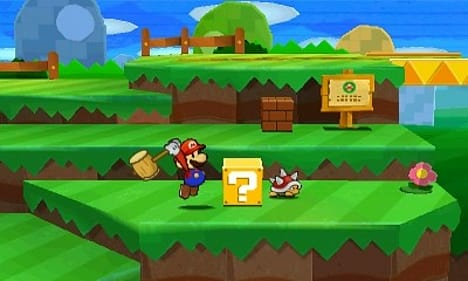 This charming, hand-held adventure will have both new and experienced fans of the Paper Mario series hooked as they explore colourful 3D environments, gather heaps of stickers, defeat enemies and use collected items to their advantage. 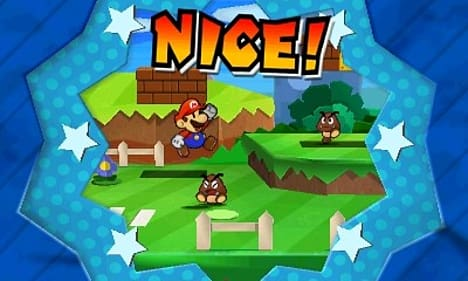 Delivering a new twist and combining a traditional action-battle system with sticker-based gameplay, make your way through by flattening characters, rolling out towns, and completing side missions in this brand new Paper Mario adventure on Nintendo 3DS!